At the beginning of the year, one would be hard pressed to pick Daniel Colman out of a line up of Michael Phelps impersonators. Here in November he’s arguably put together the best year that any poker player has ever had in the history of poker. Colman has put together enough 7-figure scores to put him 3rd on the All-Time Money list in roughly 8 months of action. This achievement eclipses just about every legend in the game – it’s insanity, it’s sickness and…it’s not even the best part of Colman. 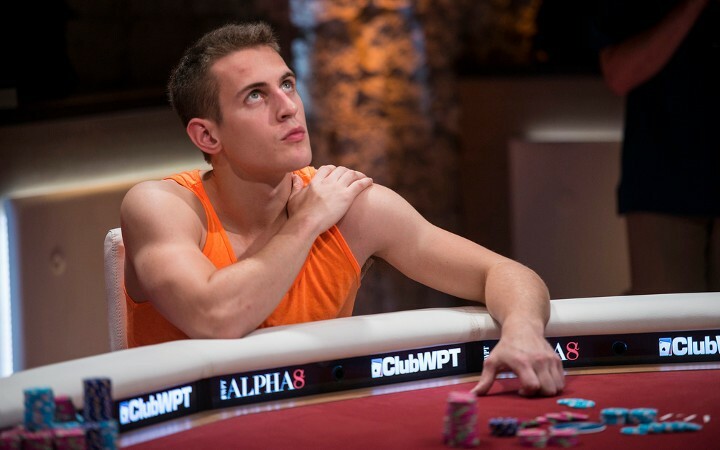 Colman’s decision to not talk to the media after his breakout win at the 2014 One Drop pretty much did the opposite of what was seemingly indented – it set off a poker media frenzy of a different kind. Everyone wanted to know what this kid’s deal was? So he answered, on Two Plus Two and went from a media shy winner to poker’s “Dark Game” anti-hero, addressing the underside of poker. A spokesperson for poker’s emo generation and, frankly, it was actually kind of refreshing. He’s brutally honest with his opinions and sure of himself to the point of abrasion – this makes for interesting conversation. If one thought that his post One Drop rant and send up of Lon and Norm would be the end of Colman, you’d be dead wrong. Colman kept on winning – making political statements on live streamed final tables, taking down major titles left and right. To cap it all off, Colman almost randomly publicly calls out Phil Hellmuth citing him as “spineless” and a “cancer to this world” for his dealings with Ultimate Bet. When he says something, Colman doesn’t mince words – even if he has to backtrack just a bit – and for his willingness to **** with the status quo we’re thankful for the emergence of Daniel Colman. Even if he plans on retiring in 2015. Daniel Negreanu became the youngest member of the Poker Hall of Fame with good reason. Of course, one can point to his two WSOP Player of the Year honors, his All Time Money leading cashes or his fantastic head of hair. But one cannot discount Daniel’s gift of gab that has helped make him the most vocal, high profile poker ambassador on the planet. But Negreanu doesn’t use that gift to be a pure company man either – if he’s got an opinion (like on the Middle East or how easy high-stakes online poker can be) – he’s not going to hesitate voice it. When it comes to standing up for what he thinks is best for the game of poker Daniel is going to be at the forefront of that conversation. The difference between Negreanu and, let’s say, Hellmuth, in terms of their public personas, is that Negreanu’s seems a little more genuine. He seemingly really enjoys his fans (even occasionally lets them in on his good fortune) and when he’s not playing poker Daniel is searching for life answers and hoping to change the world. At the ripe young age of forty Daniel’s already a poker world veteran but it looks like his work has just begun. For keeping always keepin’ it real, we’re thankful for Negreanu. There are some people out there that truly, madly, deeply love the game of poker and what to share their findings with anyone who will listen. That guy is Jason Somerville. 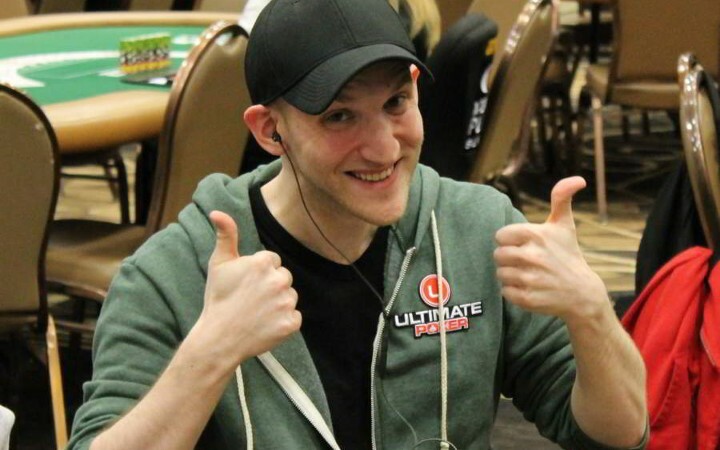 Somerville is among one of the hardest working poker pros making a name for himself and his love of the game has turned into a mini-poker revolution with his popular online Run It Up campaign. A former Ultimate Poker sponsored pro, Somerville pressed the eject button on that deal before the ship exploded but when he did many worried that without the backing of an online sponsor his efforts may wain. Not only did Somerville not retreat, he went all in producing more live streaming content than ever before. In addition to his streaming prowess, his ability to play poker and his never ending skills at chatting it up while explain his thoughts, Somerville is seemingly the type of guy who treats everyone with a high level or respect and greets them with a smile. A protege of Daniel Negreanu, Somerville is a new school ambassador and, thankfully, one that looks to be in play for many many years to come. He’s a bracelet hunter. He’s an attention whore. A hamburger eater and a would-be wife swapper. He’s Phil Hellmuth and, in poker, he’s one of a kind. His name-dropping public persona is vilified, his work with charities is celebrated and all the while – no matter if the attention is good or bad – Phil seemingly loves it all. He’s the Brat. He’s the Champ. He’s the guy everyone wants to bust and get berated by, as if it’s a poker rite of passage. Hellmuth’s personality is perhaps as big as the game itself and when he’s in the room – love him or hate him – you know he’s there. There’s not much more to say about Hellmuth except that when it comes to keeping things interesting Hellmuth knows how to stir the pot. Yes, like many of the poker obsessed we’d like him to talk more to the Ultimate Bet scandal, but that’s not what this post is about. It’s about the personality and when the lights are on and the stage is set, Hellmuth finds a way to shine both as a hero and as a heel and in 2014 his presence was felt. 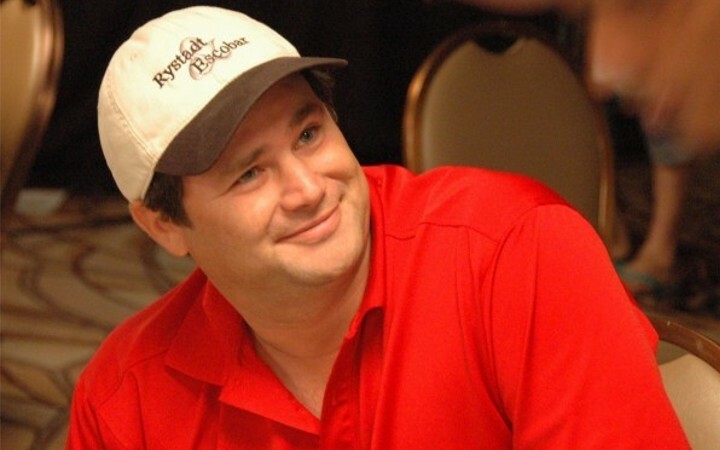 Thank goodness for Hellmuth. Greg Merson, the 2012 WSOP Champion and a one-time rather unwilling Main Event ambassador signed a deal to represent legal online poker site WSOP.com by doing what he does best – logging on and grinding. While that’s good news for WSOP.com (and to a certain extent online poker in general) that alone is not reason enough to be thankful for the champ. Merson’s story is well-known. This long-time grinder who battled his own demons with addiction only to find solace and even recovery in the game we all love. Poker saved his life and in return, after winning all the money in 2012, Merson didn’t do the easy thing – shut down and disappear. He took advice from Hellmuth to heart and, in a sense, opened his own to the idea that poker kinda needs him. Poker needs a well-respected champion who is going to let his opinion be heard, will take time to talk to the media and his fans and generally promote the game of poker. In 2014 Merson’s redoubled his efforts to doing just that so much so that if you want to play with a Main Event Champ, he’s not terribly hard to find. For helping save the game that helped save him we’re thankful for Greg Merson in 2014. It’d be easy to write award-winning actress Jennifer Tilly off as merely a “hollywood poker player.” But to hear Tilly speak there’s no doubt that she is truly invested in the game and would love to be the very best. Sure, her movie star appeal may fool you into thinking that Tilly is merely messing around in this poker world, but check yourself – she’s been here a minute or two and grinding almost as hard as anyone. Over the top? For sure. Dalla seemingly has been in the poker world before there was a “poker world” and there’s just about nothing in it that he doesn’t know. He’s one part historian, one part poker media member and one part judge and jury over just about everything that happens around it. Is he always correct? Um, no. But that doesn’t mean he’s not respected – even when his salty gut-check attitude lands him in a little bit of trouble. The best part about Dalla is how seemingly unfiltered he is. You name the “controversy” and he’s got an opinion that he is sure is right and unafraid to share. That makes for good conversation. 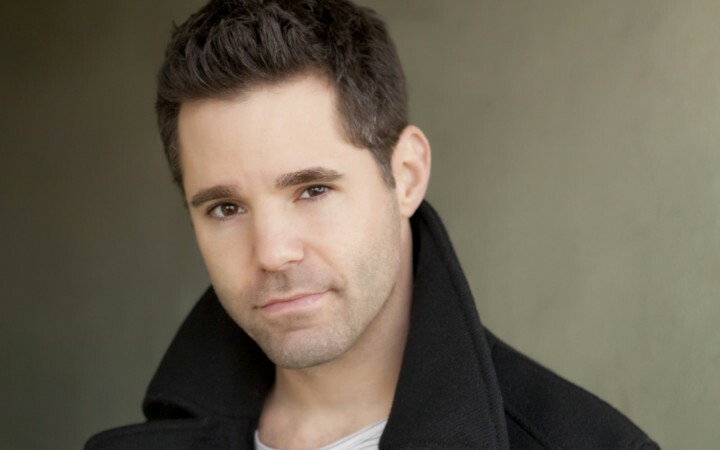 He’s the Director of Media for the WSOP and Creative Director for Poker Night In America and despite holding a couple high profile positions, he’s not afraid to get in the thick of things. We do not always agree with his statements or opinions, but damn, we’re glad he has them and for that we’re thankful for Nolan Dalla in 2014. Bellande buying in to the One Drop is cold, hard cash. What’s not to like about the everyman underdog that is JRB? Sure, Jean-Robert Bellande claims to be perpetually broke and frienemy Dan Bilzerian is always hating on him for a backing deal gone bad. But no matter how many times Bobby’s haters come at him, he seems to find a way to end up in the catbird seat even when he takes the most vicious of bad beats. Bellande seemingly does whatever Bellande wants to…and it’s usually on someone else’s dime. Bellande is also an attention monger and therefore happy to let you into his life. From countless pics of himself floating in a pool to talking about how he was arrested on the Las Vegas strip his fans are of the utmost importance to him. For giving those paying attention a little glimpse into what some may call the good life we’re thankful for the oversharing of Jean-Robert Bellande. The looks, the cash and, perhaps, most importantly a pretty damn good sense of humor. 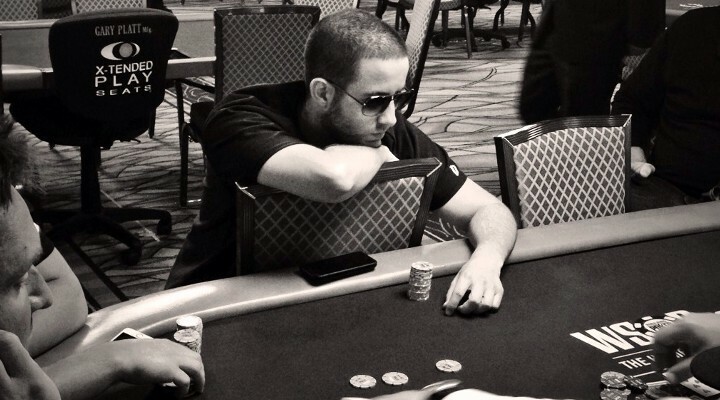 When Mike “Timex” McDonald isn’t crushing high roller events (he had 3 7-figure scores in about a month at the start of the year), auctioning pieces of himself off to the highest bidder and playing detective on random electronic payments one of the world’s best poker players is tooling around in his yellow Lambo. There was a brief moment a couple years ago when it looked like the poker world was going to lose one of the best staredowns in poker as McDonald contemplated retirement, but here in 2014 the man known as Timex has provided us with drama on the felt and a few laughs off. 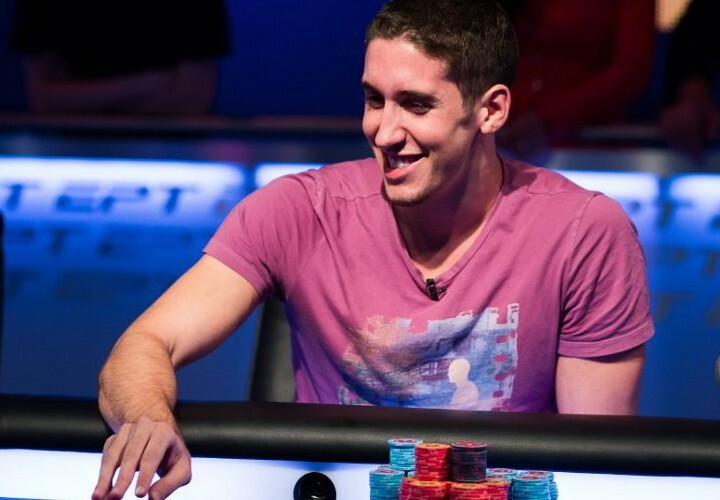 Because we called him the “Justin Bieber of Poker” and he played along like a champ we’re for sure thankful for the Canadian good-nature of Mike McDonald. Timex talks with Bluff Magazine at the 2014 Aussie Millions to defend his intense staredowns. Don’t be fooled by Tuchman’s glamour shot…he’s as down to earth as it gets. For those truly obsessed with the game of poker, David Tuckman may just be the voice you hear when dreaming of poker glory. Sure, Norm and Lon get the television time and Hartigan and Stapes rule the continent of Europe but it’s David Tuckman that is the man behind the mic for just about every World Series of Poker live stream, many many episodes of the Live At The Bike cash game and even recently providing remote commentary and analysis of the Poker Night In America live streaming cash game. If there’s poker to be streamed, there’s a high likelihood that Tuck is breaking it down. Here’s something else you need to know about Tuck, he’s as down to earth in real life as he seems on his broadcast. It’s Tuckman’s audible passion for the game of poker that makes him one of the very best in keeping you entertained when someone is minutes deep in the tank. For all his on-air contributions in 2014 we here at F5 are thankful for David Tuckman. Go behind the scenes with All In Magazine as they go with 2014 9th place finished Mark Newhouse back to his room immediately after his exit in the World Series of Poker Main Event. Newhouse’s failed bluff, which commentator Antonio Esfandiari proclaimed was a play that “showed a lot of heart”, was a punch to the gut both to Mark and those who were rooting for him. Despite the massive disappointment, he invited the crew from All In to document the aftermath which is a well put together, compelling look at what the utter lows of tournament poker and what could have been. As the now defunct Ultimate Poker finishes up the business of closing their doors forever, one of the benefits of having a regulated market is that people with money on the site are actually getting paid. No matter how much you have on there. Reports of players from Nevada receiving emails that their balances are bring returned to them is, of course, welcome news but for many of these Nevada players their balances are nothing to write home about. In fact, they are hardly worth the paper that the check will be made out on. One such player is respected gaming journalist and former voice of QuadJacks, Marco Valerio. His check – a whopping $0.18. 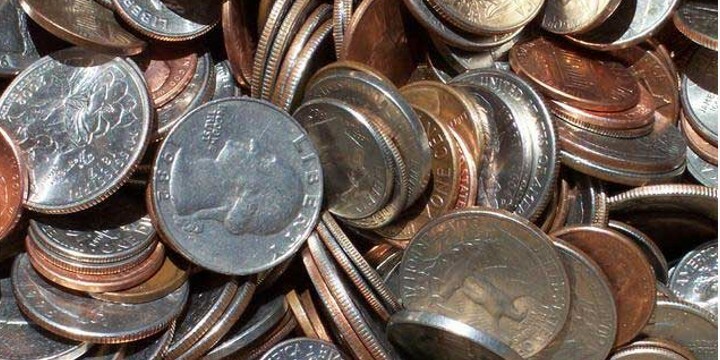 Alone, it’s scrap metal…but if everyone pooled their money could it make a difference? Within a few hours Marco had pledges from a number of players and even a matching donation of $500 from former Ultimate Poker pro Danielle Andersen. The idea is a winner and so if you have an outstanding balance from Ultimate Poker headed your way and you’d like to donate that sum – no matter the size – to a worth while cause, Marco is planning on making poker players the good guys, once again, by donating to a worthwhile cause. Perhaps even Billy Vogel’s Toys for Kids. Marco has all the contact info on his webpage so you can get in touch. We’re going to guess that, if you didn’t get a balance back from Ultimate Poker and you’d just like to GIVE this season…he won’t be turning away donations. So check it out! More amazing shots of Paul Newey’s slots. Always eyeing his next slot machine. If you thought that Paul Newey's love of slots was going to be tamed by getting bit by the poker bug, you’ve got another thing coming. 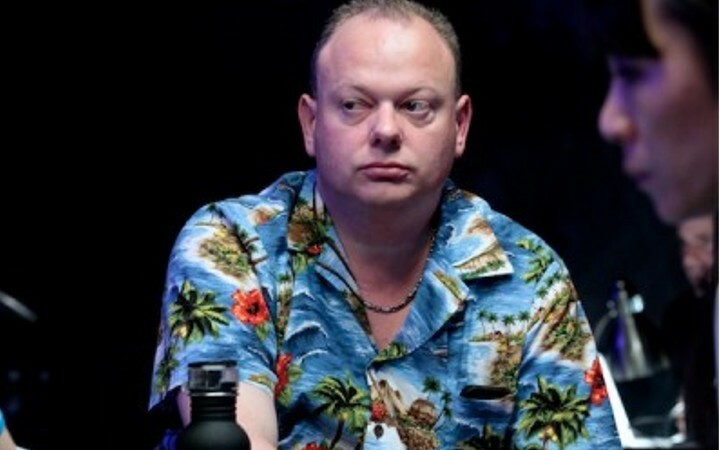 Sure, we already showed you some of the UK player’s biggest scores off the one-armed bandit, but he’s been on a virtual yanking spree as of late and so we thought the only thing better than one Paul Newey post – is two. Check out all of these photos that are all SINCE the last time we checked in with Newey. Look at that total payout online…sickening. for the big finale…Paul recently posted his biggest score ever. Will there be a Paul Newey 3? Maybe. But if you can’t get enough of high stakes slots check out Newey’s twitter where he regularly posts all his latest conquests. Former admiral accused of turning $1 chips into $500. 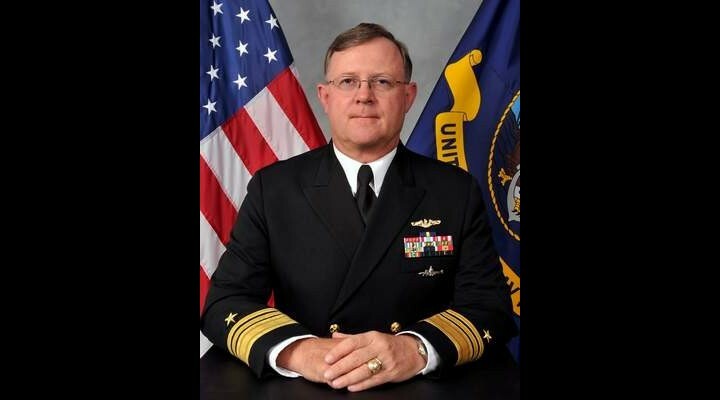 Earlier this year we brought you the bizarre story of former Navy Rear Admiral Timothy Giardina who allegedly found counterfeit poker chips at the Horseshoe Casino in Iowa and proceeded to try and use them. Now, it seems that authorities think not only did he not stumble upon those chips in the toilet, but maybe he actually had a hand in making them. It emerged on Saturday that he is accused of making his own counterfeit poker chips using paint and stickers, according to documents seen by the Associated Press. He had claimed to have found the chips, but investigators said they found his DNA on the underside of an adhesive sticker used to alter genuine $1 poker chips to make them look like $500 chips. The military lab that tested the fake chips concluded that the centre section of a genuine $500 chip had been photocopied or scanned and then printed on to adhesive stickers. The stickers were then applied to the front and back of genuine $1 chips to make them appear to be real $500 chips. But the “man known as “Navy Tim denies these allegations, hell, he denies even knowing that the chips were fakes when he used them. According to an internal statement obtained by the Associated Press, Giardina actually believes that while he wasn’t singled out, he did play the part as a fall guy. “I do not believe I was singled out to find them, but believe that I was a patsy for someone who wanted the chips to be found,” he wrote. Double guarantee and bounties to boot in celebration of 1yr in NJ. 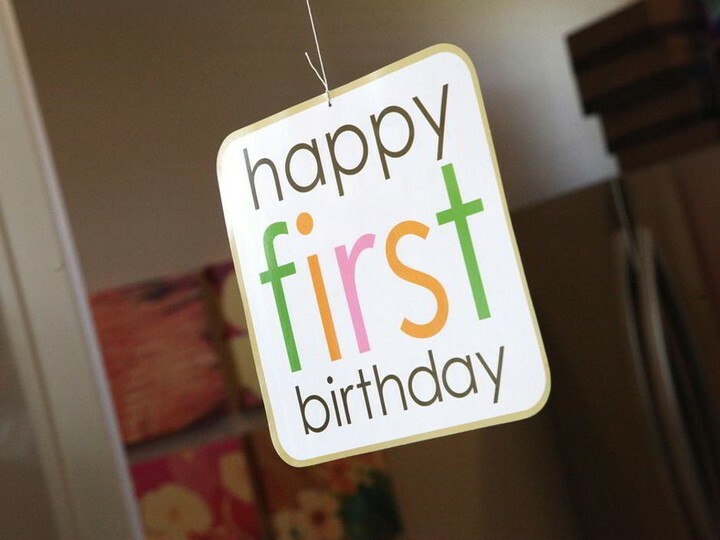 Can you believe that online poker has been back up and running in New Jersey for a year now? Well, every since day one the online poker powers that be, including Borgata & partypoker have been pushing to make the games as juicy as possible in order to have recreational players and grinders alike jumpstart the new US online poker boom. This weekend, on Sunday Nov. 30, it’s no different. The guys at partypoker are going to double their Sunday major guarantee to $100K and offer up bounties on some of Team partypoker players. Jaime Kerstetter, Scott Baumstein and even New Jeresy Devils great Ken Daneyko all have $100 bounties on their heads and if, by chance, you KO all three – you earn $10K. Sattys are running around the clock to help you get into this must-play tournament for even cheaper than the $200 entry fee. So, this Sunday, celebrate with partypoker and BorgataPoker by giving someone else the worst bad beat of their life en route to claiming a piece of that $100k. Flushdraw theorizes that in the scheme of things Martin doesn’t matter. Over at Flushdraw, the team there take a look at what Martin brings to the table and while, they like him just fine, they think the time of poker needing a healthy public role model is a thing of the past. It just doesn’t matter anymore. Poker is a known quantity now. It isn’t a secret. Most people understand that poker isn’t just a game played in smoky back rooms or Wild West saloons. We don’t really need to convince them of that anymore. We’re on to the next step, which isn’t the fight for legitimacy, but the fight for legality. It certainly does not hurt that Martin Jacobson is a smart, clean cut, in-shape champion. That is better than having an inarticulate slob holding up the diamond-encrusted bracelet. If he chooses to do anything “ambassador-y,” he will likely do an excellent job. But it just doesn’t matter anymore. It’s an interesting article that makes a case that the personality of the Main Event winner has zero impact on the game and unless they are so extreme in ways that not many personalities are, so-called ambassadors are no longer able to “move the needle” when it comes to growing the game of poker. So is Martin good or bad? Maybe nobody cares. 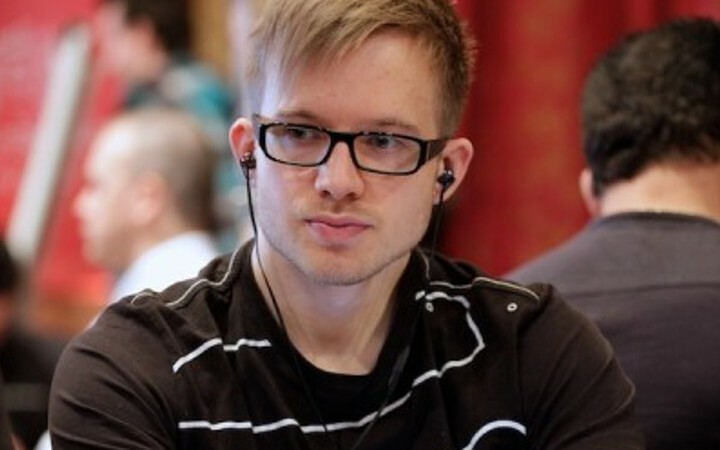 Read:Is Martin Jacobson Good for Poker? Bonus: Jacobson appears on CNBC to talk about his victory. World Poker Tour highlights the stylish Massey brothers. Loni Harwood follows him on twitter. For Aaron Massey it’s all about style. Massey’s profile in the World Poker Tour “Ones To Watch” video shows the young gun off as a “cool kid”, “funny guy” and a player who’s confidence borders on arrogance. From the looks of it, Massey is pretty much living life on his (and his brother’s) own terms. In fact, this one time Chicago “have not”, is living the dream and putting up Player of the Year type results on the HPT and amassing over $2.3 milly in lifetime earning. Love it or hate it, the underdog’s on top. Mental Game authors shine a light on poker’s black hole. 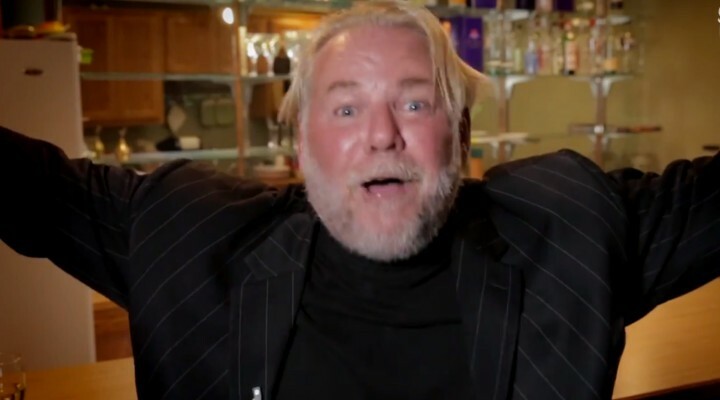 2014 Most Tiltworthy Personality – Curtis Rystad. You know it. You’ve experienced it. You hate it – it’s TILT. Thankfully, the level headed team over at Sky Poker has brought on Barry Carter and Jared Tendler, authors of “The Mental Game of Poker”, to define, explain and help you get over your anger issues. Charity poker tournament features a bizarre felt. Last week Jennfier Harman hosted her annual charity poker tournament to benefit the Nevada chapter of the ASPCA and to honor the occasion it looks like the Planet Hollywood poker room decided to go with a “special” felt to commemorate the event. “Chairman” Bryan Micon was strutting around Planet Hollywood when he stumbled upon and snapped this photo of their a new look poker table that featured a giant picture of noted animal lover Harman and her husky. Granted it’s for a great cause (we love animals) but this may be one of the most bizarre, perhaps even unnerving, poker table felts we have ever seen. More streaming poker to start your holiday week. Hockey star and Igor play a “not nice, unfriendly” hand of poker. Honestly, there’s not too much to this pretty standard hand except to watch one-time hockey superstar Jeremy Roenick do what ever poker player does: complain about his luck. Roenick and Igor Kurganov get it all in – pair vs. flush draw – and Jeremy starts in right away complaining about his luck with a downtrodden and pessimistic attitude, guaranteeing that he can’t win races like this. Ahhh, the tone and tenor of a poker player. So, you see, when it comes to poker even a world-class athlete like Roenick feels the same about the game as we all do. Welcome to the poker world Jeremy, sounds like you’ll fit right in. Viktor Blom on the felt! These are some of the strongest picks available, so keep them to yourself and don’t tell your friends. If you’re following any of our advice, hopefully it’s our picks at the WR position as we consistently have been killing it with our picks of at this position. For example, last week we gave you Jordan Matthews and Kelvin Benjamin, both coming off strong Monday night performances and with artificially low salaries. This week, we are confident in our picks is well. 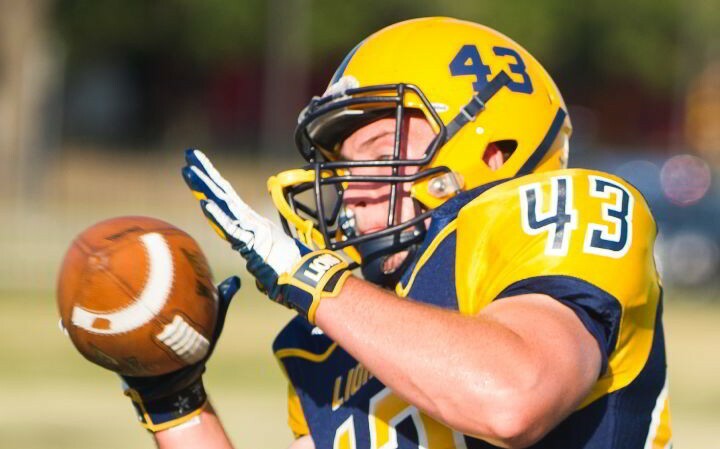 We will also provide some wide receivers that you may want to try to fade as they face particularly tough matchup’s. Rookie Brandin Cooks is out, the Saints are at home where they thrive, and Colston should see the benefit of soft coverage by the ravens and an increased number of targets due to Cooks’ his injury. In what looks to be a high-scoring affair, the Bears receivers should dominate the Tampa Bay defensive backs. You can’t go wrong with Brandon Marshall either, but if you only want one we think you should go with Jeffrey. Hilton has been quiet as of late, and thus his salary is more reasonable. This week we expect him in the Colts to blowout Jacksonville. Look for a monster game from Hilton this week. This game was moved to Detroit, and we expect the Jets to benefit. Heavy snows in Buffalo have caused the team to miss some practice time, and with Harvin on the field as both a pass catching and running threat, we think he will have a big game this week. Yes I know we just told you that the Jets have an advantage because Buffalo has missed practice this week, but this team needs to win this game to keep their playoff hopes alive. And, Watkins is by far the most explosive weapon on offense. The Jets are not very good against the pass so get Watkins into your lineup. We expect the Jaguars to be behind early in by a large margin. This means they will have to throw the ball a ton and Shorts should be the beneficiary. Garbage time points are still points so get this guy into your lineup. Those are our WR pics, but as promised, here are some guys we think you may want to shy away from. Kenny Britt, Golden Tate and Jordan Matthews all have tough matchup’s this week. Be it against a particularly good defensive back or a strong defensive team, these are guys were fading this week and think that you should consider doing the same. You will find our QB pics here and our RB pics here. There’s only a little t until this weekend’s NFL games kickoff, but you can still create your lineups in at FanDuel.com and at DraftKings.com if you hurry. But, make sure that you have an account set up. If you don’t, click here to sign up at FanDuel.com and here to sign up at DraftKings.com.